Time for the February Daring Bakers Challenge! 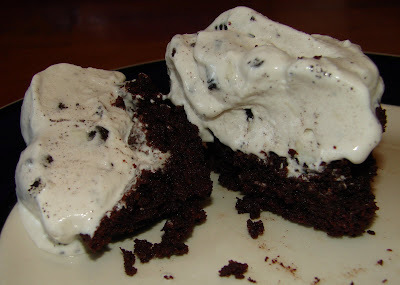 The February 2009 challenge is hosted by Wendy of WMPE's blog and Dharm of Dad ~ Baker & Chef. We have chosen a Chocolate Valentino cake by Chef Wan; a Vanilla Ice Cream recipe from Dharm and a Vanilla Ice Cream recipe from Wendy as the challenge. This was such a neat recipe to try, I have never made a flourless cake before and was prepared not to like the end result, but in the end I really enjoyed it! The cake was so delicate and light, it almost melted in your mouth even though it looked like a dense brownie type cake, looks can be deceiving! 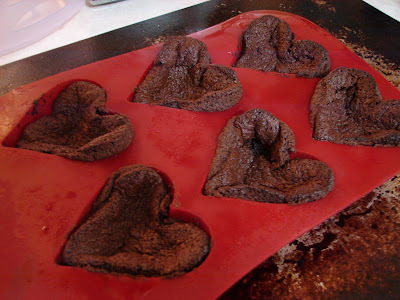 I halved the recipe and made six mini heart cakes in a silicone pan. 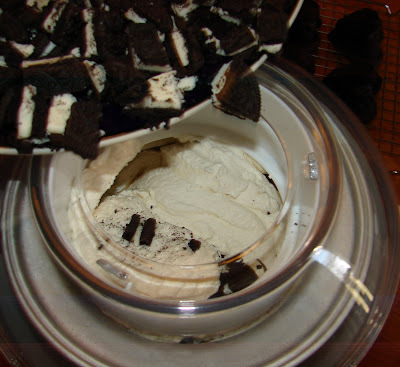 I made Oreo Ice Cream to serve the cakes with, what a fun childhood inspired treat. I am usually one to try to make everything homemade, at least once. We rarely buy things that I can make at home (certain pastas, breads, cookies, soups, etc.) 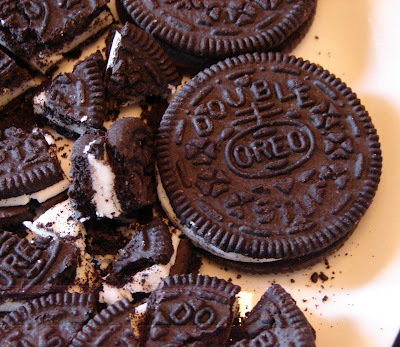 but one thing I cannot make at home is an Oreo cookie, I know there are some recipes out there to make your own, but I think Oreos are a special treat best left to the mass manufacturers. Mix all ingredients together (we do this in a plastic pitcher and mix with an emulsifier hand blender-whisking works too).Refrigerate for 30 minutes or longer. Mix in your ice cream maker as directed. 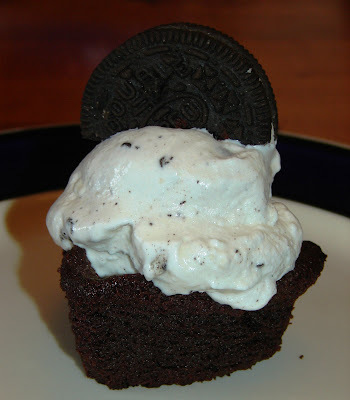 Changes I made were to use two cups of cream and one cup of skim milk, powdered sugar, and to add in 10 chopped double stuff oreos. 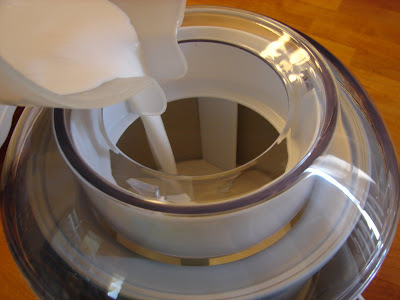 I really liked the suggestion of mixing the cream sugar mixture in a pitcher before pouring into the ice cream maker. 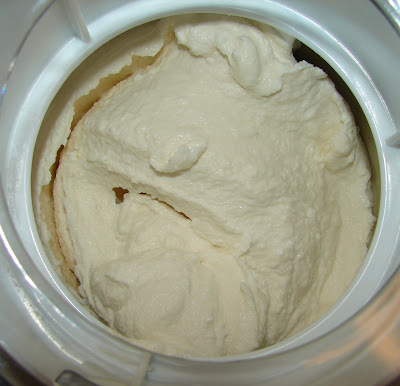 It made getting the ice cream mixture into the ice cream maker extra easy!